Lock in a great price for Pullman Madrid Airport & Feria – rated 8.7 by recent guests! Very nice hotel, a bit confusing with parking garage underground and to make your way inside the hotel from there, but the room was very clean and amazing king size bed, literally slept absolutely knocked out. Beautiful hotel close to the Metro and the bed slept like a dream! Very clean, very nice bed, nice bath. Airport shuttle every 30min, metro station 2mins walking distance. 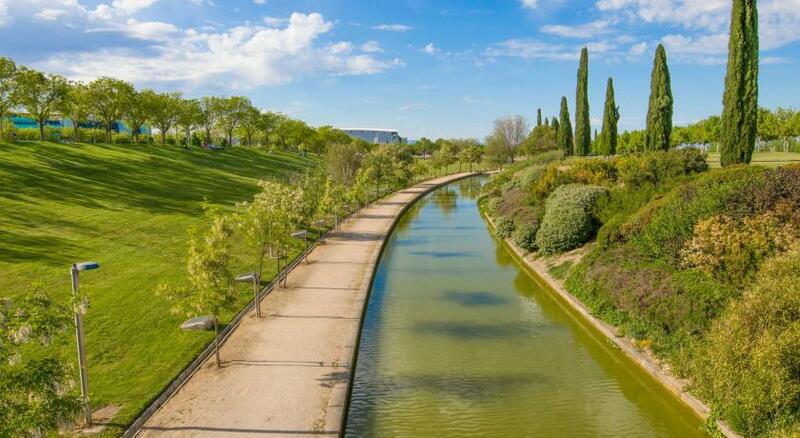 5mins walk from FERIA Madrid. Many nice restaurants in the vicinity. Lobby was nice and luxurious, front desk was polite and very helpful. Nice big room with comfortable beds, chair and desk. Super clean and large bathroom. Beautiful blue pool that was very refreshing. One of the best breakfast buffets I have been to in Europe. This hotel is fabulous! The staff are very professional, helpful and friendly. The rooms are amazing. There's a pool and gym as well. Good location., metro is very convenient, and the airport shuttle is good. The hotel is a bit rundown, it could use a spruce up. Clean and bed is very comfortable. Breakfast starts at 6.am. Staff are really good. 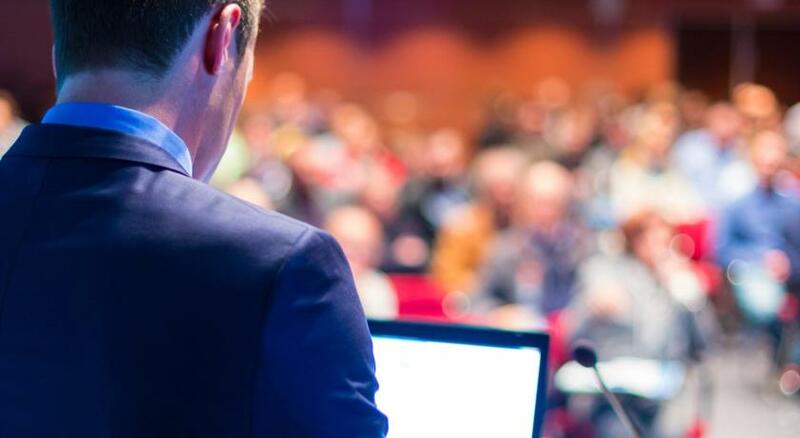 Pullman Madrid Airport & Feria This rating is a reflection of how the property compares to the industry standard when it comes to price, facilities and services available. It's based on a self-evaluation by the property. Use this rating to help choose your stay! 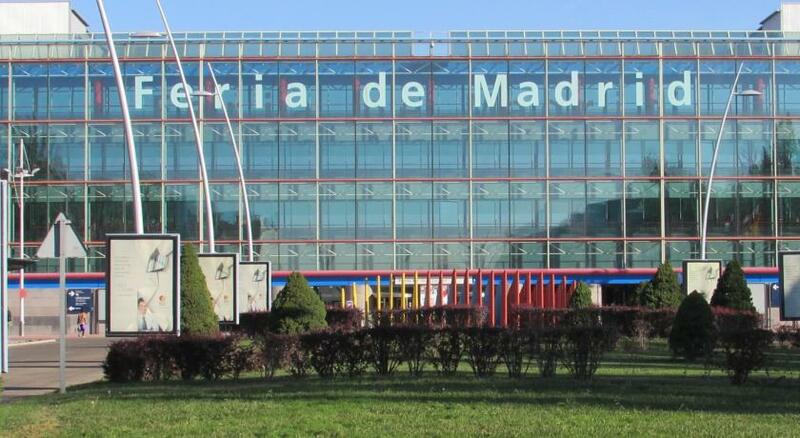 This hotel, next to the IFEMA and Palacio de Congresos business centers, offers a free shuttle to nearby Madrid Airport. Rooms feature free WiFi and a 32-inch plasma TV. Pullman Madrid Airport & Feria features a seasonal outdoor pool and sun terrace. Guests have free access to the on-site gym. Olivar De La Hinojosa Golf Club is just 0.6 mi away. All soundproofed rooms at the Madrid Airport & Feria have a mini-bar and come with a bathrobe and slippers. The private bathrooms include a hairdryer and a bathtub or hydromassage shower. All rooms include free accommodations and breakfast for one child under 12. The hotel’s restaurant serves Mediterranean and international food. The Cosmopolitan Bar offers an extensive menu. There is also 24-hour room service. 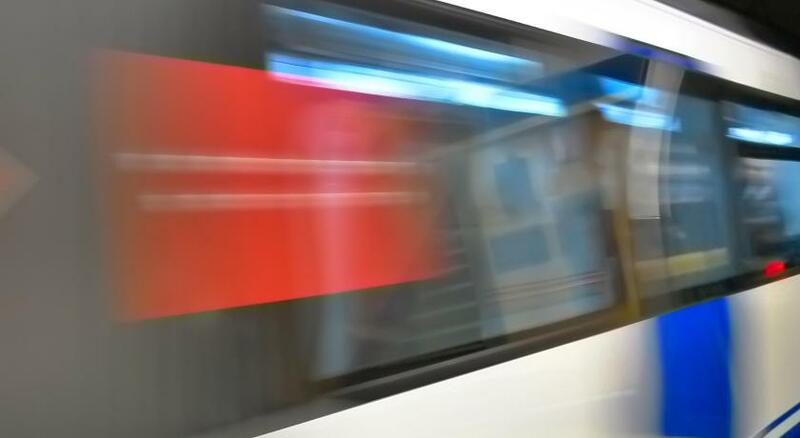 Pullman Madrid Airport & Feria is 350 feet from Campo de las Naciones Metro Station. You can reach Madrid city center in 15 minutes from the hotel. 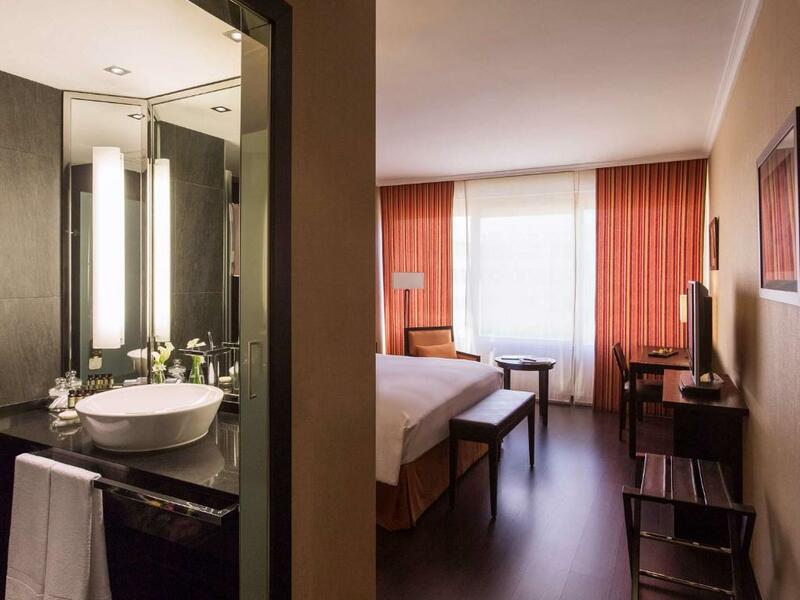 When would you like to stay at Pullman Madrid Airport & Feria? This sound-proofed room includes 1 double bed and a private bathroom with a bath or hydromassage shower. A hairdryer, bathrobe and slippers are also provided. Free WiFi, air conditioning, a safe, and flat-screen TV with pay-per-view channels are also available. Public parking is available on site (reservation is not needed) and costs EUR 18.40 per day. This soundproofed room offers a queen size bed, flat-screen TV and free Wi-Fi. The private bathroom comes with bathrobe and slippers. Located on the 4th floor, this room offers a Nespresso coffee machine, free mini-bar, and free parking. This sound-proofed room includes 1 double bed and a private bathroom with a bath or hydro-massage shower. A hairdryer, bathrobe and slippers are also provided. Guests will find Free WiFi, air conditioning and a safe in this room. A flat-screen TV with pay-per-view channels is also available. Our main concern in Pullman Madrid Airport & Feria is our guest's satisfaction. House Rules Pullman Madrid Airport & Feria takes special requests – add in the next step! Pullman Madrid Airport &amp; Feria accepts these cards and reserves the right to temporarily hold an amount prior to arrival. Pullman Madrid Airport & Feria accepts these cards and reserves the right to temporarily hold an amount prior to arrival. The free shuttle service between the hotel and Barajas Airport operates daily. Please consult the front desk for timetables. Very confortable bed. All the staff was very kind and helpful. Free shuttle to airport. Very close to the metro station. One minor issue we had was when we asked for a cocktail at the bar we were told no because the two barmen were too busy, when looking around there were only a few people at the bar and coming from Scotland was a bit bemused lol!! This is too old. Corridors are too dark, rooms old fashion. I was at the 5th floor and there was s constant noise (like someone breathing) on the roof. Limited hours of airport shuttle. The earliest is 6:00 a.m. so we needed to take a cab. Also, limited restaurant options nearby. I was waiting for transfer from airport fo 50 minutes. Also the hotel was not able to provide morning transfer to the airport. I was very surprised their shuttle bus serves Ibis and another four hotels but the service is very limited. I think that it is not acceptable for a hotel in airport zone. Also i'd expect freshier and more modern rooms for the price. Good connection to the city, proximity to metro station. Great bed!